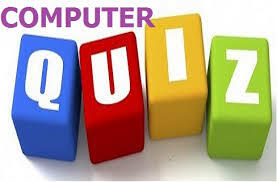 Dear Readers, we are presenting Important Computer Questions for IBPS RRB Exams, IBPS Clerk, India Post. Computer section play important role in scoring. 1. What is Direct X? 2. The barcode which is used on all types of items, is read by a scanning device directly into the computer. What is the name of this scanning device? 3. A key that will erase information from the computer’s memory and characters on the screen. 4. Hybrid computer used the combined feature of _________ and _________ machine. 5. Which program, installed on the user’s computer help him to communicate or send request on the network? 6. Which of the following is software? 9. Which bar is usually located below the Title Bar that provides categorised options? 10. Which among the following term is used for: Unauthorised copying of software to be used for personal gain instead of personal backups?